Welcome to Archadeck! We are the leading source for custom decks, porches, patios and other outdoor spaces in Raleigh, Durham, Chapel Hill – and everywhere in between! Our goal is to give you a backyard getaway, every day. 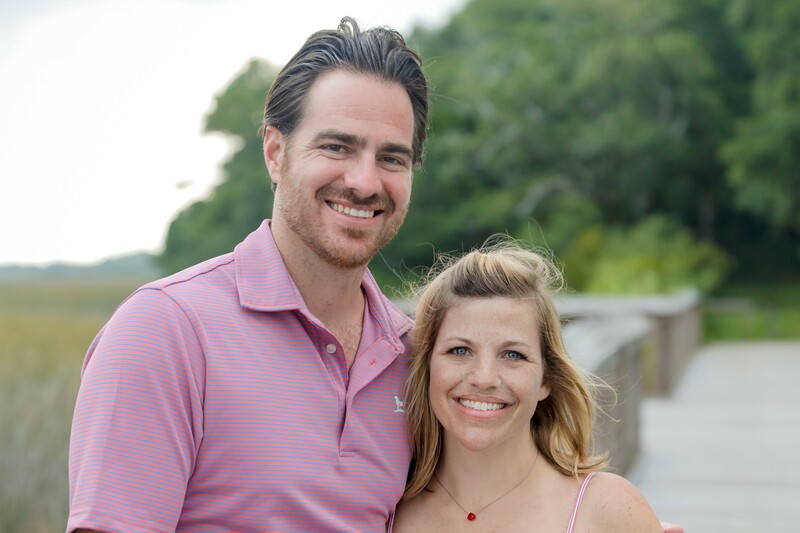 Archadeck of Raleigh-Durham and the Greater Triangle is locally owned and operated by Kyle and Paige Faulkner, and backed by the strength and support of the national Archadeck brand. Archadeck businesses across the country have built more than 100,000 incredible outdoor structures since 1980. We joined Archadeck because we know firsthand the joys of outdoor living and want to share this experience with others. We also value great design, quality craftsmanship, and exceptional customer service – the hallmarks of the Archadeck experience. We want you to know that investing in an Archadeck deck, hardscape, patio, porch etc. means you will receive the highest quality materials, design, workmanship, and service. Your project will be customized to complement your home, suit your personal tastes, meet your needs for functionality, and work within your budget. We’ve built a fantastic team of top talent who meet and exceed the Archadeck standards every day for providing excellent service and an exceptional finished product; helping us achieve our goal to bring your vision for outdoor living to life. Give us a call today to schedule an initial phone consultation and take advantage of our at-home design consultation. At your consultation, we’ll show you past projects, discuss your needs and tastes, survey your home/lot, and explain construction material options (including the new, low-maintenance wood alternatives). Let’s get started – we look forward to serving you. Along with being the best Raleigh deck builder, we also build custom sunrooms, screened rooms, screened porches, pool decks, spa decks, gazebos, pergolas, porches, loggias, arbors, privacy screens, planters, benches, ramps, walkways, docks, outdoor kitchens, outdoor rooms, and much more. The job was done professionally, beautifully, kindly, and respectfully. I highly recommend putting the extra money into the job and feeling the project looks and feels the way you dream it to be. We really appreciated the good communication and prompt replies, either via email, calls, or in-person. Even when we had a small concern, the response was great. 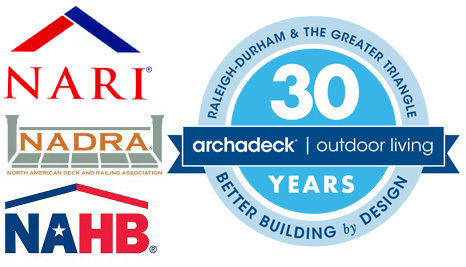 Read more Archadeck of Raleigh-Durham reviews on our testimonials page.